A retro dessert salad with a crunchy pretzel crust, a sweetened cream cheese middle, and topped with a mixture of strawberry jell-o and fresh berries. 4th of July is this weekend! 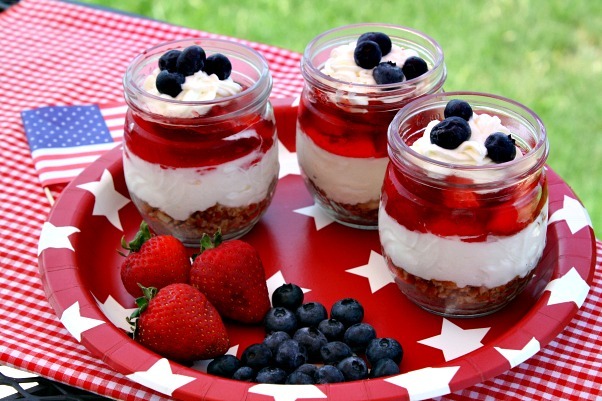 Have you decided on what sweet treat you'll be serving to celebrate Independence Day? 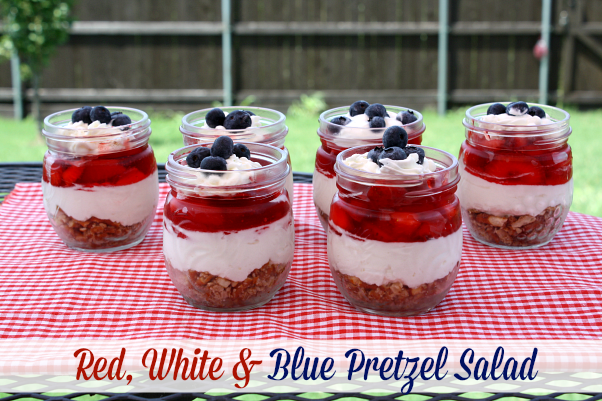 I think these Red, White & Blue Individual Pretzel Salads are the perfect idea. 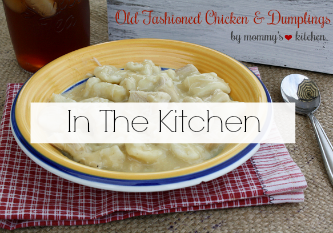 A dear friend of mine introduced me to this yummy retro salad years ago and I was instantly hooked. 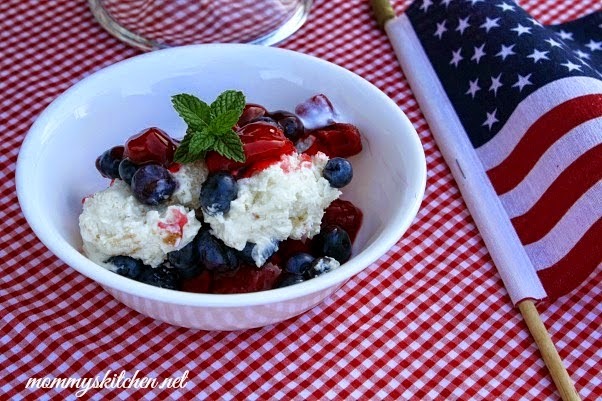 The original recipe calls for just strawberries, but since a variety of berries are in full swing at my local Walmart, I decided to add a few blueberries, and turn this simple dessert into a red, white and blue patriotic treat. 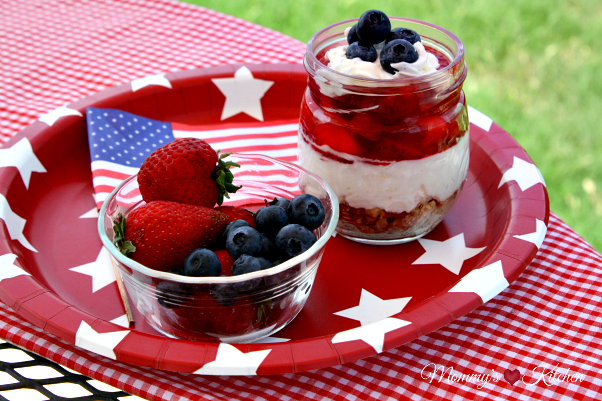 This red, white, and blue pretzel salad has three layers, a sweet-and-salty pretzel crust, a creamy sweetened cream cheese middle, and topping made with a mixture of strawberries, jell-o, and fresh blueberries. 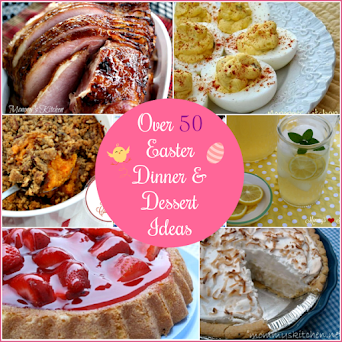 You can make this dessert in individual jars or in a large 13 x 9 inch baking dish. 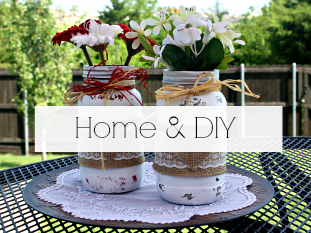 I love the individual mason jars, because they're perfect to transport to a picnic or cookout. Just assemble the dessert, chill, screw on the lids, and place them in a ice chest until you're ready to serve. I recommend not adding the cream and blueberries for garnish if you'll be transporting the jars, because it will melt all over. Instead just fold the blueberries into the jell-o mixture along with the strawberries and omit the cream for garnish. Also if you're feeding a large crowd or just want mini desserts use the Ball 4 oz Mason Jars. 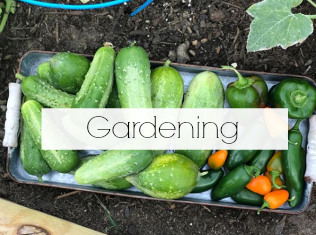 Let's get started on the step-by-step. Preheat oven to 350 degrees. To make the crust, add the pretzels to a large Zip lock bag and lightly crush with a rolling pin. Combine, pretzels, sugar, and melted butter. Press 2-3 tablespoons into 8-10 half pint size mason jars. 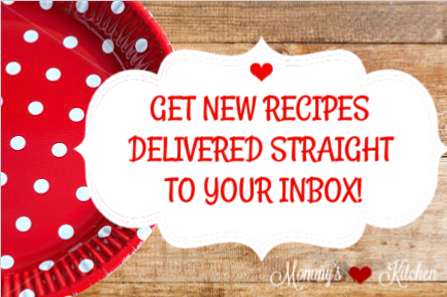 Add the jars to a baking sheet and bake for 10 minutes. Remove and cool completely. In a medium size bowl dissolve the gelatin into 2 cups boiling water. Place the jell-o mixture in the refrigerator and chill until the mixture is lightly set (about the consistency of loose jell-o). When the jell-0 is partially set fold in the sliced strawberries (if transporting the jars add the blueberries as well). To prepare the filling, add the softened cream cheese to a separate bowl and whip until creamy. Add the powdered sugar, and vanilla extract; mix to combine and set aside. Prepare the whipped cream, by whipping the heavy cream slowly until the cream is lightly thickened and soft peaks start to form. Add the cream cheese mixture to the heavy whipping cream, and continue whipping until the cream forms semi stiff peaks. Add the cream mixture to a piping bag or a use ziplock bag with the end cut off. Add about 2-3 tablespoons of the cream cheese mixture to each mason jar over the crust. Use a spoon to seal the cream over the crust so the jell-o does not seep down. Using a spoon ladle about 3 tablespoons of the jell-o mixture evenly into each of the jars. Place the jars into the refrigerator and chill for about one hour. Just before serving add additional whipped cream and fresh blueberries. Your guests will love this sweet and salty dessert combination. Preheat oven to 350 degrees. To make the crust, add the pretzels to a large Zip lock bag and lightly crush with a rolling pin. Combine, pretzels, sugar, and melted butter. 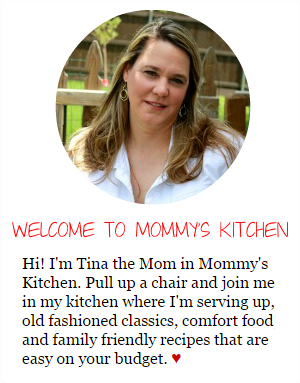 Press 2-3 tablespoons into 8-10 half pint size mason jars. Add the jars to a baking sheet and bake for 10 minutes. Remove and cool completely. In a medium size bowl dissolve the gelatin into 2 cups boiling water. Place the jell-o mixture in the refrigerator and chill until the mixture is lightly set (about the consistency of loose jell-o). When the jell-0 is partially set fold in the sliced strawberries (if transporting the jars to a cookout add the blueberries as well). To prepare the filling, add the softened cream cheese to a separate bowl and whip until creamy. Add the powdered sugar, and vanilla extract; mix to combine and set aside. Prepare the whipped cream using a hand mixer or a kitchen aid mixer. Whip the heavy cream slowly until the cream is lightly thickened and soft peaks start to form. Add the cream cheese mixture to the heavy whipping cream, and continue whipping until the cream forms semi stiff peaks. Using a spoon ladle about 3 tablespoons of the jell-o mixture evenly into each of the jars. Place the jars into the refrigerator and chill for about one hour. Just before serving add additional whipped cream and fresh blueberries before serving. Cook's Note: Fresh Raspberries and raspberry Jell-O can be substituted for strawberries. 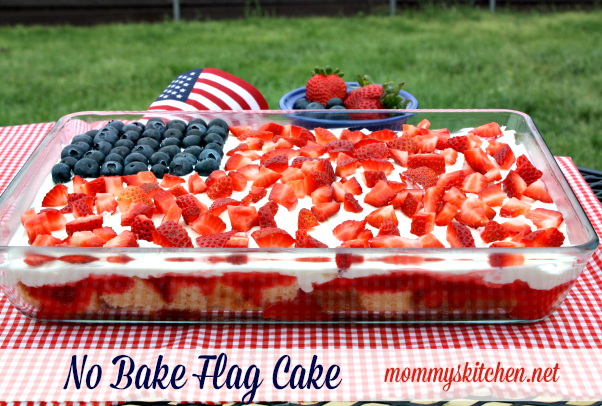 If you're looking for more Patriotic recipe ideas check out this Easy No Bake Flag Cake, and my recipe for this Red, White & Blueberry Angel Fluff. 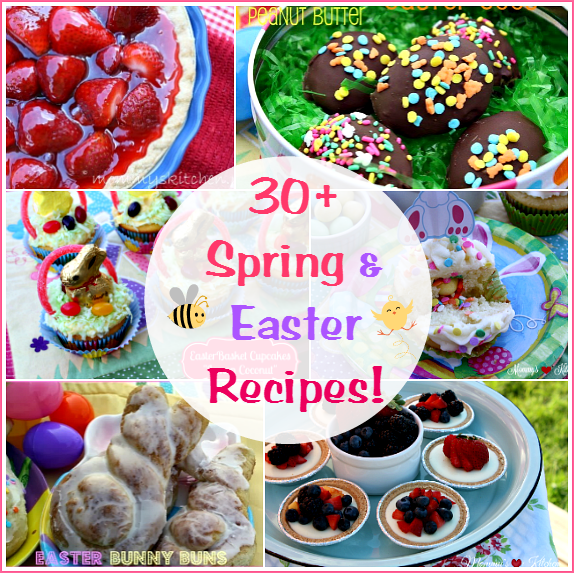 All of these recipes can be made with fresh produce and ingredients available at your local Walmart. I want to wish everyone a happy and safe Independence Day!